Peanut butter and jelly. George and Martha. Frog and Toad. Cowboy and . . . Octopus? Yes, that's right. Meet Cowboy and Octopus--the next great pair to become a household name. Cowboy likes beans'n'bacon and bacon'n'beans. Octopus eats raw seafood. 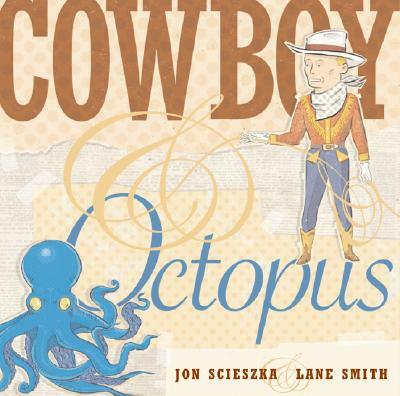 Octopus prefers knock-knock jokes, but Cowboy doesn't get them. How will these two ever be friends? Illustrated in funky, vintage-style cut-outs and told in several humorous mini-stories, the famous Stinky Cheese Man duo of Scieszka and Smith have created sweet--and of course hilarious--tales of an unlikely friendship.